I truly believe books inspire kids. It’s one of the many reasons I share children’s book lists with my fellow parents right here every Monday. 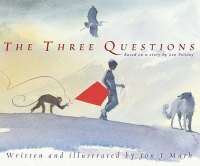 Today, I’ve gathered together a collection of picture books that parents can use as conversation starters with their kids about how both small and large actions can change the world, and inspire their own kids to make a difference, whether it’s with one small act of kindness or by leading others in a grand movement. MORE: See the index of all my book lists for kids. I have more than 100 of them (! ), for all ages and interests. A is for Activist. A board book that’s not just for babies! With a fun sense of humor, this alphabet book introduces kids to the idea that life may not be all about acquiring the latest Thomas Train. I was worried this book would be annoyingly didactic, but the rhymes and wit make this introduction to social justice a worthwhile read. The book teaches generosity, compassion, consideration for others. Use the book as a starting point for further discussions about the topics. The Other Side. The more I read this book, the more I love it. A fence, both metaphorical and physical, defines the boundary between Annie’s white family and Clover’s African-American one. Clover’s mom has told her not to cross the fence because it is unsafe. Instead, Clover sits on the fence, watching the other girl play. Annie eventually approaches Clover and the two sides begin talking, a friendship is formed and the fence, finally crossed. There is no didacticism in Woodson’s writing as might make one cringe in a book like this. The final image of a line of girls sitting on the fence points to the possibilities of the future. Grace for President. When Grace finds out there has never been a female president, she is determined to change that. While the boy she is up against makes popular promises and counts electoral votes, Grace works hard and steadily to earn her votes and show with her actions that she’s the right girl for the job. The explanation of how electoral votes are cast is skillfully woven into the narrative, making this a great choice for discussions around election time. Harlem’s Little Blackbird is the story of singer Florence Mills, who used her fame to fight for civil rights in the 1920s. She was well-known for her compassion for the less-fortunate and for helping to advance the careers other African-American performers who faced profound racism. If you’re looking for a book with a good role-model, this is the one. Mama Miti: Wangari Maathai and the Trees of Kenya. Wangari Maathai was the first African woman to receive the Nobel Peace Prize. She was recognized for her work restoring trees to Kenya. The wonderful thing about Maathai’s story is that it involves the cooperation of an extended community of women and will make kids aware of the power of individuals to bring positive, long-lasting global change. As always, Kadir Nelson’s illustrations are stunning. The Most Magnificent Thing may seem like an odd choice for this list, but as we know, science and technology changes the world and having a can-do attitude like the protagonist is a must for any person wanting to make an impact. With the help of her assistant dog, a “regular girl” decides she is going to invent a most MAGNIFICENT thing. She has a lot of false starts. Nothing seems to be turning out the way she wants and it’s so frustrating for her! However, she takes a walk, comes back and looks at her inventions afresh, and finally figures things out. I adore the “lesson” in the book, that success comes only after “failure” (something we learned recently in science camp). You know: trial and error. The book is not at all preachy and Spires’s illustrations are a delight. Tomás and the Library Lady is based on the true story of Tomás Rivera, who went on to become the first minority chancellor at the University of California. As the son of migrant workers, Tomás listens every night to stories his grandmother tells him. Then one day, a librarian opens up a whole new world for him. This is an inspiring story of the power of education and reading which will ring true for all children, no matter what their backgrounds. The Boy Who Harnessed the Wind, one of my favorite science books. is an inspiring story of a how a William Kamkwamba, a 14 year old boy brought electricity to his village in Malawi. William had to drop out of school because he had no money for the fees, but a picture of a windmill on a book. It lit a spark in him and worked hard to research and build a windmill for his impoverished and drought-stricken village. A truly amazing story about the power of perseverance. The Pink Refrigerator is also on my lists of books about trying new things. Sometimes just getting out is enough to make a big difference in one’s life. The badger (? mole? – I’m not really sure what kind of creature he is!) finds a mysterious pink refrigerator in a junk yard. Each day the note on the fridge sports a new suggestion, like “read more”, “make pictures”, or “play music”. Inside the fridge he finds the materials he needs: books, art supplies, a trumpet, etc. The final note, “keep exploring” prompts Dodsworth to leave his own note, “Went to find an ocean.” This is a great story about the willingness to be open to trying new things. Hug Machine is the wild card on this list but it was one of our favorite books of 2014. It’s about a boy who simply can not stop hugging. Are we all agreed in the power of a hug to change the world? This book is sure to bring a smile to your face. « Parents Love these Top Kids Activities and You Will Too! I love so many on the books on the list. I’m excited to check out the Pink Refrigerator which is new to me. Thanks for another great list! The Pink Refrigerator is lots of fun and perfect for little ones. Hi, where can one find these books online? Thanks. Click on the title or cover. LOVE the list! The Librarian of Basra is one of our faves. Can’t wait to read a few that I don’t recognize — we’ve read about the trees of Kenya but not “Mama Miti” and also looking forward to A is for Activist. Thanks, Jacquie. There are loads of inspiring books out there. It was hard to narrow it down. And a new one by my friend, Laurie Ann Thompson that releases tomorrow: Emmanuel’s Dream, about Emmanuel Ofosu Yeboah, a disabled rights activist. It’s beautiful & very inspiring! Great list, as always. My five year old loved The Boy Who Harnessed the Wind. Another book along the same lines that we read multiple times is One Hen: How One Small Loan Made a Big Difference by Kate Smith Milway. Thanks for the recommendations, Julie! So glad the list is helpful for you. That’s been on my to-read list for ages! A great list as always! I love the different types of books all with a great message. Hug Machine was one of our favorites last year and Each Kindness is one of my all time favorites. Thanks as always for sharing! Thanks, Stacey. Those are two of my favorites, as well. I think Each Kindness is a really important book. great ideas – thanks for the inspiration! These are all such wonderful and inspiring books for kids. These really show kids that they can do something to make the world a bettter place. I agree, even small acts can make a difference. Thanks so much for sharing this great list with the Kit Lit Blog Hop! I share a lot of these with my 3rd graders as we study people from different continents, but I found a few new to add to my list! What an inspiring book list! Pinning this to request from the library, and I suspect we will add some of these books to our home library. Love this list! Thank you for sharing–my emphasis on my blog (and in my research) is Children’s Lit. and Spirituality, and the theme of this list matches that. 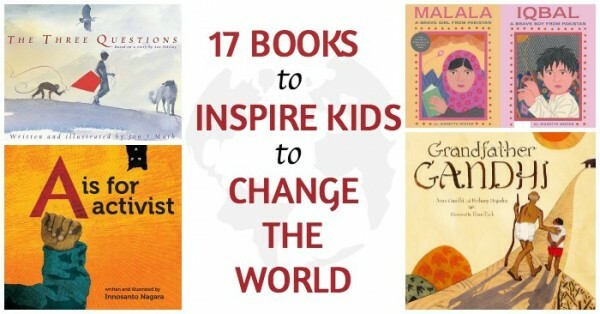 I so appreciate finding reads that will inspire kids to change the world. I used to include The Story of Ruby Bridges in a teacher training course on using children’s literature in the classroom. And I literally just was reading The Most Magnificent Thing tonight so that was perfect timing. Just read this list and love it. I don’t know these books because I’m a grandmother of a 15 year-old and not sure he had any of these in his (younger) library. However, I am Steward of a Little Free Library and will see about getting ALL of these for my young patrons. I would add to this list one of the “books” – a traditional folk tale, told by many different authors over the decades: The Little Red Hen. I realized some years ago how much that simple lesson of an industrious, hard-working Little Hen has influenced my adult life. Thank you, Sharon! I’m so happy the list is useful for you and I do agree about The Little Red Hen, that would be a great addition! Lists like this are so extremely important to ensure people become aware of the great resources that help kids become global citizens, advocates, and change makers! I am a teacher and Tosca Killoran and I created a book entitled “A is for Action: The ABCs of Taking Action”, which is a great next step from the wonderful “A is for Activist” book! I would recommend it as an addition to this great list. Thanks again for curating this list and if you get the chance, definitely take a look at our book! This is a wonderful list of stories. 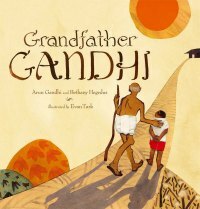 I love the cover for Grandfather Ghandi. Thank you for sharing these books on the hop! Thanks for sharing these book titles! Yes – I just found this site and was going to suggest Miss Rumphius, too! Great list! We’ve featured some of these titles in our kids’ Book Club. Glad to see so many titles covering such diverse issues. Please amend your review of Malala – she survived the attempted assassination. My review only states that Iqbal was assassinated but you are right that if someone didn’t know Malala was alive when she was awarded the Nobel Prize they might misunderstand. I would add these to the list: The Girl with a Brave Heart and Tenzin’s Deer— sweet story about a boy who finds an injured deer. He takes care of it and tends to the deer’s wounds and gets the deer back on its feet again. In the end, he releases the deer. Later on in life, that boy goes on to be a Doctor, a Surgeon. The first time I read that book to our Son, we both cried. Our Son, wanted the boy to keep the deer as a pet and not release it back into the wild. Both of these books are from Barefoot Books. Great list of books, will have to check these out at the library. Amy, we have A is for Activist and highly recommend it! It’s a great book for babies, young people, and adults! Prince Hastipaka did not like his father King Cakrapada of Nartaka killing animals to make money for the Kingdom so he went to the forest to help the animals. With advice from a mouse deer and a Myna Bird, he stopped the collection of elephant tusks, trophy hunting for tiger heads and the taking of rhinoceros’s horns for medical purposes. He got the approval of the forest animals to set up environmentally friendly activities so that animals and humans could live peacefully together. Please add my book to your list to make children more aware of animals. Miss Rumphius is my favorite book to read with the kiddos when we talk about changing our world. We’ve already read A is for Activist to our child several times and we all love it so much. The evocative imagery, alliteration are great for now. And when our child is older, the book has so many openings for important conversations! We highly recommend! You need to add the tomorrow book by Jamie French, it’s incredible! Wonderful list! This year our whole school has focused on social justice. One thing we did was read a series of books, one a month, in every classroom. We hoped that this would spur conversations at home as sibling in different grades would be sharing the experience. This list is perfect for continuing that work next year. Although I won’t be there, I’m very excited about presenting this to our Social Justice Committee. There are a couple of other books that spring to mind. One is “The Lady in the Box”, a realistic fiction story of two children trying to help Dory, a homeless woman living in a box over a heating grate outside a restaurant. At first they try to help by leaving food. When they try to sneak a blanket out their mother confronts them. When they all go to see Dory she is not there. Mom finds out that the restaurant told her to leave. After reading him the riot act, Mom and kids find her and bring her back to her warm spot. As a family they decide to start serving at a soup kitchen. I liked this book because there is no tied-up-in-a-bow happy ending. It presents a problem that can’t be solved overnight, but shows what one family can do to at least get her warm place back, and then go on to serve now that they are more aware of the problem and the human cost. Another book, that might be slightly off topic is Let Them Play, the true story of a black Little League team in South Carolina in the ’50s. Let Them Play is a great book. Wonderful list. How can I get the beautifully illustrated timely and timeless bi-lingual book Joelito’s Big Decision/ La gran decisión de Joelito on the list for BOOKS TO INSPIRE KIDS TO CHANGE THE WORLD. It’s about a boy, a burger, a friendship and the fight to raise the minimum wage. It shows the next generation that the struggle for economic justice didn’t end with Cesar Chavez. 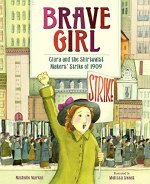 Rosie Revere Engineer is an entertaining book inspiring girls to enter STEM fields and to learn about the history of women in STEM (and World War II). I realize this is a belated response, but I just love the book “My Brother Martin,” by Christine King Farris & illustrated by Chris Soentpiet. Text AND illustrations are amazing. 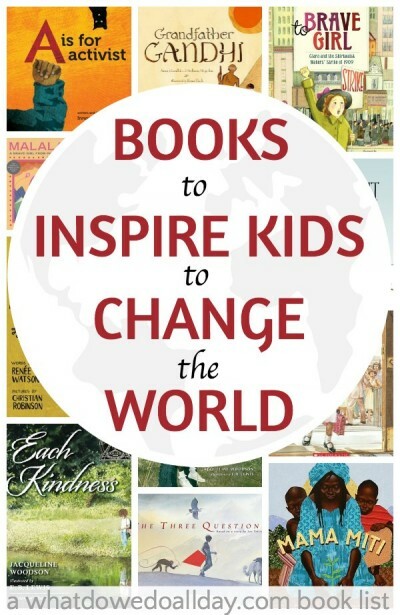 I love books that inspire and educate children on how they can make our planet a better place. Readers may enjoy a book about endangered species titled Judge Birdie #1: The Case of the Disappearing Amur Leopard. Love your blog. Love this book list. I have read some of them to my kid. Malala, a Brave Girl from Pakistan/Iqbal, a Brave Boy from Pakistan is my son’s favorite one. Although the topics in this book are a bit serious, it can catch the heart of a kid. I will check out others and add them to my book list. I’m glad your son enjoyed the book!